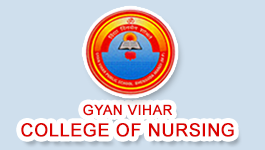 Gyan Vihar College of Nursing is a Affiliated Senior Secondary Residential College. The College is situated at Bhensodamandi,Tehsil Bhanpura in district Mandsaur (M. P.). Bhensodamandi is a place situated at the Rajasthan Madhya Pradesh border. It is only 1 Km. away from BhawaniMandi, Dist.-Jhalawar (Raj.) and is on the main Western Railway line from Mumbai to Delhi, near by Kota. It is authorized to run classes from play group to 12th in both (English & Hindi ) medium. 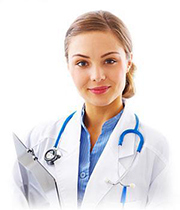 These courses are recognized by Central Board of Secondary Education, New Delhi. All classes are run in its own Constructed Building at Bhensodamandi. Gyan Vihar College of Nursing is well structured with all facilities as per CBSE norms like Play Grounds, Green Lawns, Separate Nursery rooms, well ventilated class rooms, Transport Facility, well Equipped Labs and Library, well trained devoted dedicated staff all these merits make Gyan Vihar College of Nursing a right choice for all those parents who are seeking admission for their wards. We know more techniques and strategy than ever before. The outer form of what we do reached the limits of refinement. We believe eduction is "Soul Making" - shaping young lives and showing young people how to live called the "Good Life". Our educators approach are based on a commitment to a strong personal, emotional and psychological care. Our faculty cultivate a community in which young people experience, clarity and discipline, will nurture roots of self knowledge and confidence. We focus much on what, when, how and why of education - much rarely on the "who" (who does the educating). We are here to enable young people to participate which allow progressive development and to experience success and challenge. the peculiar bent of the genius of each.